The school holidays have just ended here in Australia and i introduced my kids to Shrink plastic. it’s so fun, easy and inexpensive to create lots of shinking plastic master pieces! We made necklaces and key rings and I thought that shrink plastic would also be fun and great as zipper pulls! I’ve designed a print out that you can use as a template for the designs i created. Download the template for FREE here. All you’ll need are coloured pencils, a hole punch, small Jump ring and shrink plastic. Preheat your oven to the recommended temperature on the instructions of the shrink plastic. Use the coloured pencils to create your design on the rough side of the plastic or trace the designs using the template. If you make a mistake you can use an eraser to remove it. Cut carefully just inside the lines of the design and/or round the edges of each piece you cut out. This will ensure it won’t crack, tear or have sharp parts. Punch a hole in the shrink plastic before you place it in the oven as the hole shrinks too. Place in the oven for the required time (its different for different brands and plastics) and watch it curl and uncurl. Once your zipper pulls have cooled you can attach the jump ring and attach to your zipper! I have attached mine to Anne Pouches and Triangle Pencil cases! they look so cute! 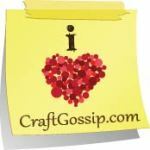 They are a great idea if your giving something handmade as a gift! I hope you like this quick tutorial as much as i do! Check out my other tutorials!